“No”, “what is it,” we asked in unison. “Açorda is a traditional Portuguese bread soup from the Alentejo region, where I’m from”, Cristina replied. 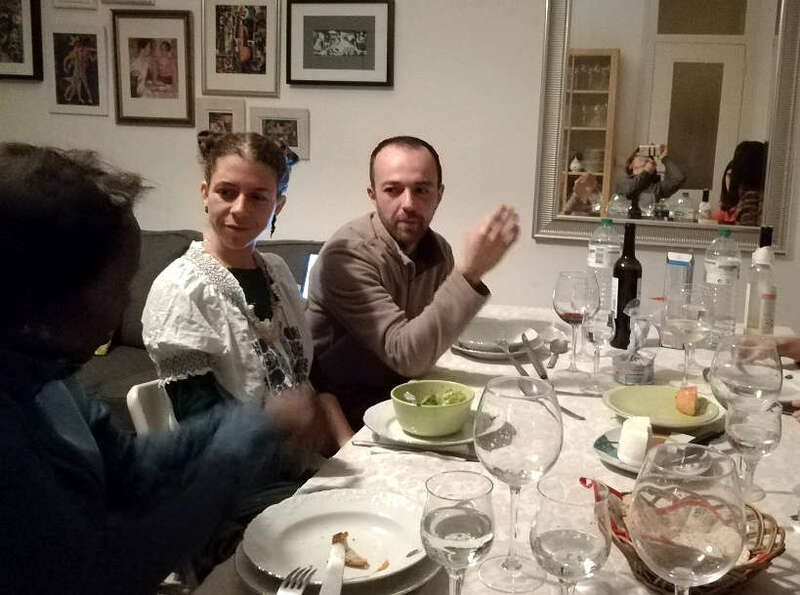 In Lisbon at the time, we were Airbnb guests at Cristina’s home when she graciously extended the invitation. 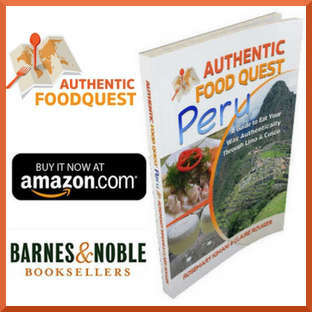 At Authentic Food Quest, one of the ways we discover the local food culture is by staying with locals. 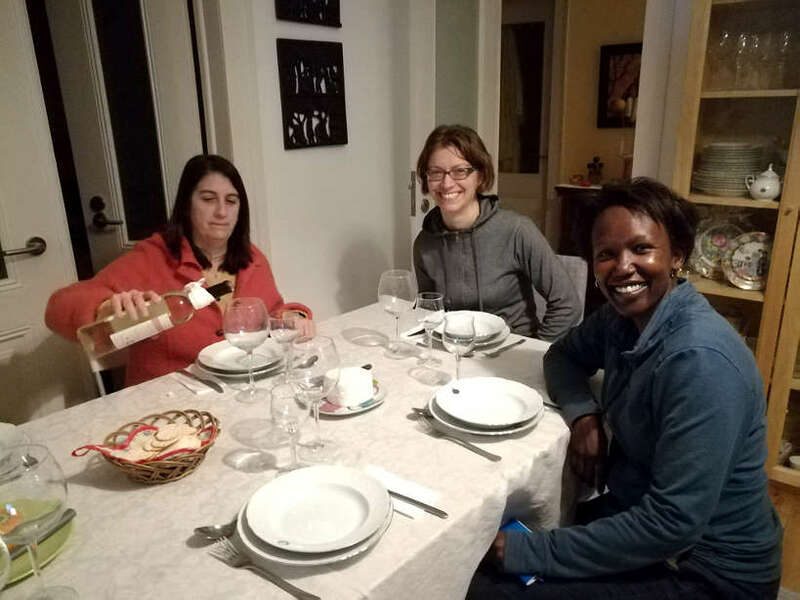 This is how we ended up at Cristina’s four bedroomed apartment, in the Penha de França neighborhood, away from the popular Lisbon tourist zones. “If you are around on Friday at 6:30 pm, I’ll show you how to make açorda and we’ll eat together with my daughters”, Cristina said. Known as the “breadbasket of Portugal”, the Alentejo region covers about 30% of the country. The area is home to vineyards, olive groves, fertile farmland, excellent cheeses and black pork raised from pigs fed on a diet rich in acorns and oak. Alentejo cuisine is one of the richest and most original in Portugal. This unique cuisine has developed from the creativity of poor rural farmers and the use of the natural ingredients from the land. One of the basic and important elements of the food culture in Portugal is bread. The Alentejo region, a major grain producer, is famous for Alentejano bread or Pão Alentejano. 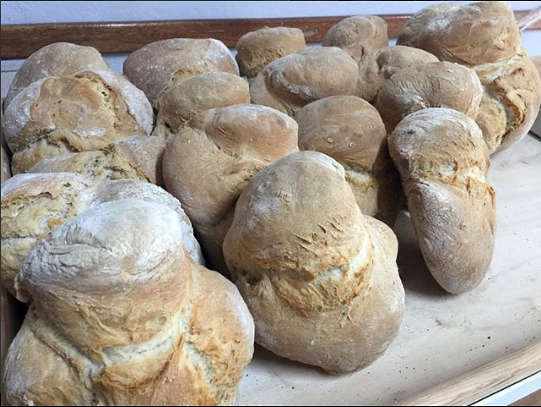 This traditional bread, with a large lump that pops out of the top of the bread when baked, is an important ingredient in several Alentejo dishes. “We’ve got to get back on time to make açorda with Cristina”, we chided ourselves as we rushed around to buy wine and Portuguese desserts for dinner. 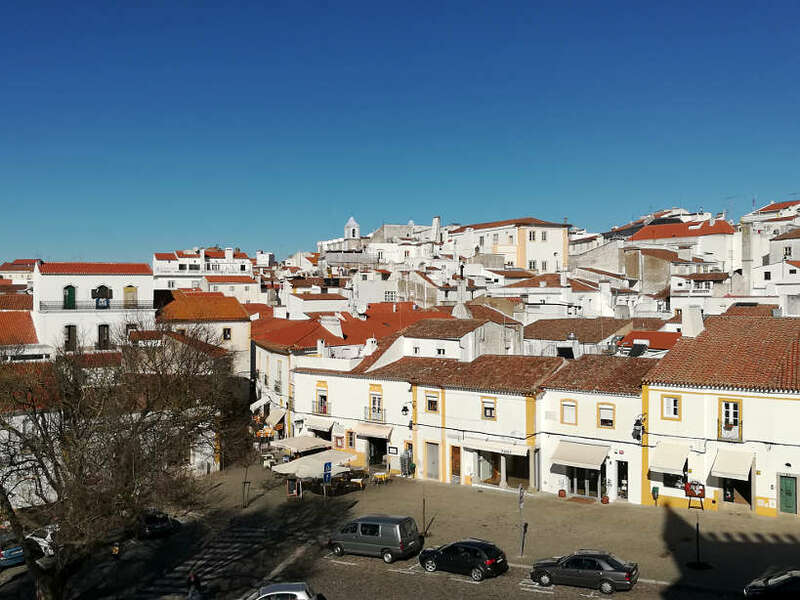 We had just come back to Lisbon by train from Évora, the capital of the Alentejo region. On our trip to Évora, we discovered several Alentejo dishes, including freshly baked Pão Alentejano and Migas, another dish made from crumbled bread, exclusively from the Alentejo region. However, we hadn’t had açorda and were excited about discovering this traditional Portuguese food. 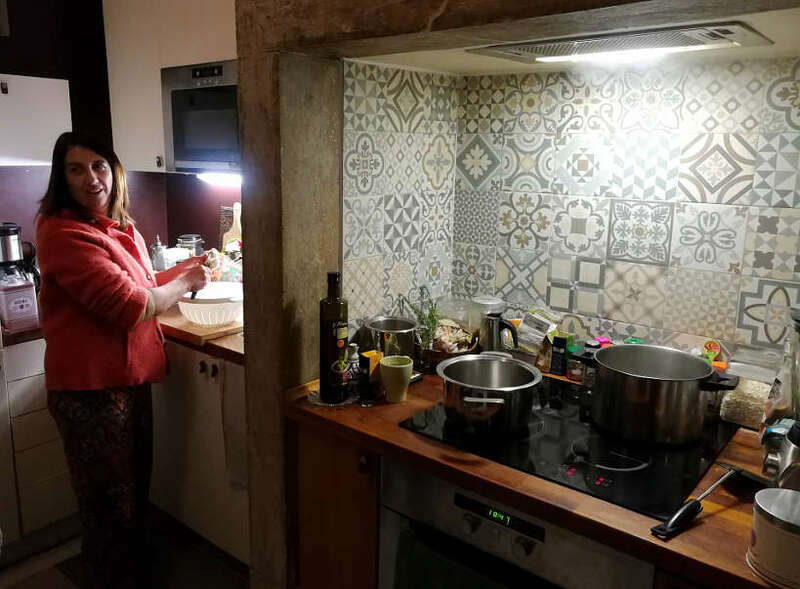 Once we got back in and settled, we found Cristina in her beautifully tiled Portuguese kitchen getting dinner going. 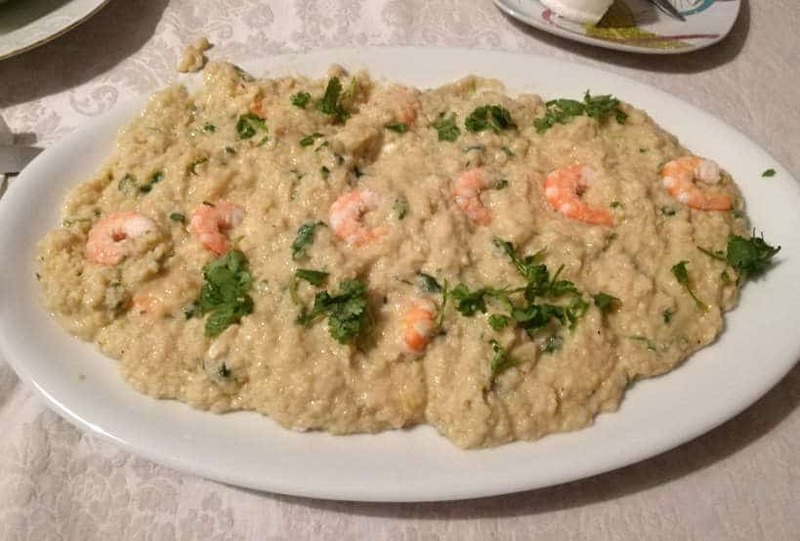 This traditional dish, Cristina told us, is not widely available at restaurants, but it’s very popular. “Typically”, she added “açorda is made using three-day-old Alentejo bread”. “It’s what the poor people in Alentejo ate and you made it with everything you had”, she added. One of the most important ingredients is the olive oil. And, the” olive oil must be from Alentejo,” she declared. Olive oil is an indispensable ingredient in Portuguese cuisine. It is used as a dip for bread, splashed over grilled fish, basted over pork chops, used to season potatoes, vegetables and more. It’s difficult to find a dish on a Portuguese menu that hasn’t seen olive oil. Considered the “Queen of Condiments”, olive oil has long occupied a prominent place in Portuguese culture. Going back to the Roman Period and the Visigoths who protected the olive trees. And, all the way to the Arabs in the 17th century, who named Portuguese olive oil “aziete”, an Arab word for olive juice. During the Discovery Age, olive oil was used for illumination and the quality of Portuguese olive oil in the 19th century was awarded at the 1889 Paris World Exhibition. As we discussed the olive oil, we watched Cristina pour copious amounts of olive oil in a pot mixed with garlic and onion. Only the inside of the bread is used for açorda, and this was mixed into the sizzling onion and garlic mixture. As we talked, we helped Cristina chop up coriander and rosemary, while the shrimp was boiling separately in a pot of hot water with salt. Coriander gives açorda, its distinct taste. And as Cristina put it, “if you don’t have coriander, don’t make açorda”. About 20 minutes later the açorda was ready and topped off once again with olive oil from Alentejo and the cooked shrimp. To start off the dinner, Cristina made a simple cauliflower soup or sopa de couve-flor. 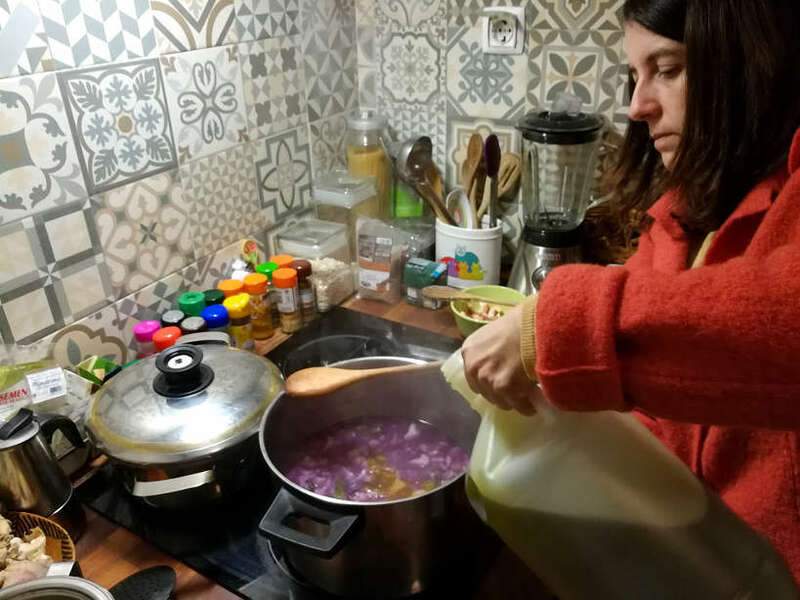 While the soup is typically made with regular potatoes, Cristina chose to mix three different kinds of potatoes – purple, white and yellow. 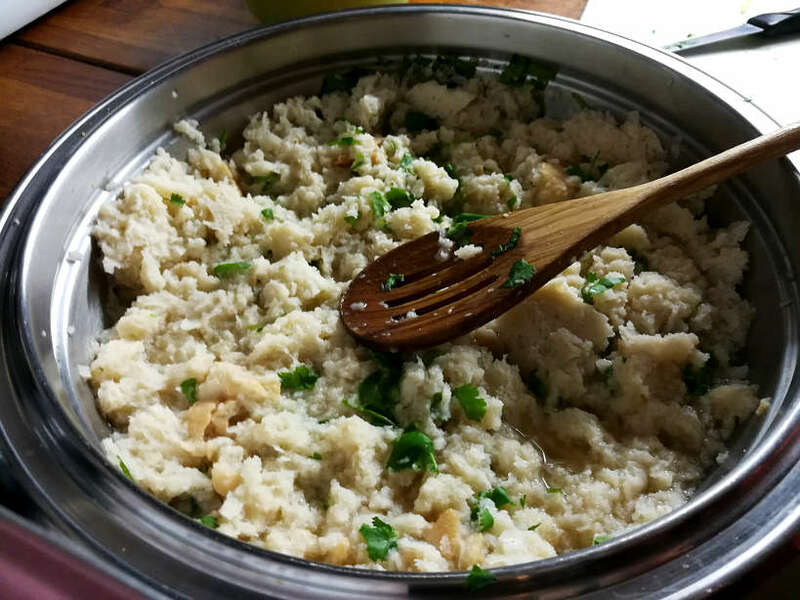 In the boiling water, she added chopped cauliflower, including the stems and leaves. 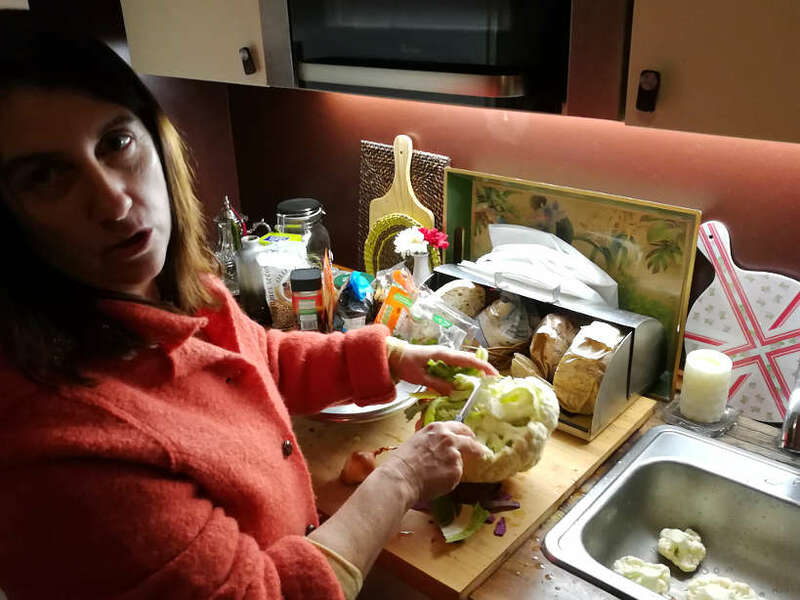 Moabi, Cristina’s oldest daughter, brought the cauliflower from her home in the district of Portalegre in Alto-Alentejo, the northern half of Alentejo. Together with her partner, Gennaro, a lanky Italian man, they had come to Lisbon for the weekend. “The only time I cook the cauliflower leaves and stems is when Moabi brings me cauliflowers from her food forest farm”, Cristina told us. Shooing us out of the kitchen and into the living room, Cristina told us to ask Moabi and Gennaro as she finished preparing the soup. Moabi, we learned, used to live in Lisbon, but left for a quieter life in the northern Alentejo region. 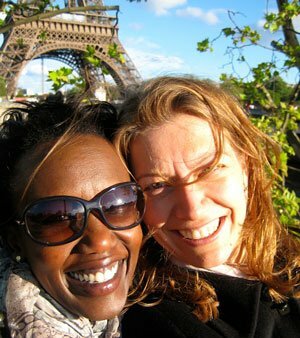 As fascinated as we were with her story, she was just as curious as to why two former corporate career gals, had left their careers to travel around the world through local food. The feeling was universal. Despite the geographic and cultural differences, a desire to live a more meaningful life was at the core. In 2010, Moabi and Gennaro told us they created Tribodar, a holistic learning center in the northern part of the Alentejo region. Their dream, they told us “ is to foster connections to the community, to the natural world, and make sustainable use of all resources.” They follow a permaculture philosophy and help residents live with a reduced footprint. On their land, they practice Forest Farming, where they cultivate vegetables under the forest canopy. With the current use of chemicals, our soils have become degraded and applying forest farming techniques creates a more sustainable food system, they shared. For more, this article goes much more in-depth into forest farming. The seasonal vegetables they were growing on their land at the time of our dinner were cauliflower, broccoli, fennel, and lettuce. “Mom”, I’m sorry I’m late”, said Juana, Cristina’s younger daughter as she went around kissing everyone hello on the cheek. “It took me a long time to find a parking spot on a Friday, night in Lisbon”, she said. We smiled in empathy, in recognition of this worldwide frustration. “The two chairs at the end are for you two,” Cristina said as she directed us to our seats. Before us was a beautiful table setting, with fine china and stemware for both wine and water. “We’ll start with the white wine from my friend’s vineyard”, Cristina said as she poured wine around the table. Cristina, like her friend, lost her job during the Portuguese economic crisis which started in 2008. Helped by a 2011 bailout from Europe and the International Monetary Fund, the Portuguese economy is on the road to recovery, fueled by tourism. A former Professor of Sociology, Cristina, turned to renting rooms in her apartment through Airbnb to make ends meet. At the time of our stay, she was building a chalet on her property to also offer via Airbnb. “We had to be creative when we lost our jobs”, Cristina said. Her friend and former colleague turned to making wine with her husband. In fact, the wine we were drinking was from their first vintage, and we were all guinea pigs. When the economic crisis hit the U.S. at around the same period, I was working in my corporate job. I remember being focused on working hard and keeping my job, oblivious to the impact the economic crisis was having around the world. “We went to pick grapes in the Rhône wine region in Southern France”, added Moabi “ to make ends meet”. While she and Gennaro had a horrible experience, they did what they had to do, when they couldn’t find jobs home. Over the cauliflower soup, we got to know Juana. New into her career as a nutritionist, Juana, was a single woman in her late twenties. Passionate about traveling, she was at a stage where she was trying to figure out if she wanted to be a nutritionist for the rest of her life. “I was good in biology and the sciences, and I just fell into nutrition,” she said. 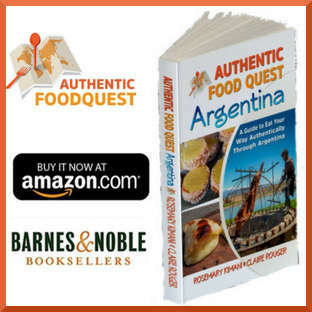 She was most interested in our travels and especially our quest for authentic food in South America. “I want to go to Argentina and travel around the continent and volunteer. Already a well-traveled lady, the allure to South America was also in part driven by Portugal’s former colony, Brasil. As we talked about traveling, we savored the flavors of the purple cauliflower soup. Blended into a purée, it was comforting and packed with flavor. As Cristina served the açorda, I passed around a bottle of Portuguese wine from the Douro Region. Wine production is one of Portugal’s most ancient traditions. The Douro Valley is the first demarcated and regulated wine region in the world. It is known for producing some of the best wines in Portugal, and also in the world. The açorda, with a risotto-like texture, was hearty and full of flavor. Each bite into the stunning dense soup was biting into a much loved traditional Portuguese soup. The origins of the açorda are said to go back to the times of the Moorish occupation of the Portuguese territory. Portuguese culinary researchers believe the açorda is an evolution of Moorish bread soups. Already familiar with European cheese varieties, and especially those from France, we enjoyed discovering Portugal’s wide variety of artisanal cheeses. Claire, an avid cheese lover made it a point to try as many Portuguese cheeses as she could. In keeping with the theme of Alentejo cuisine, Maobi brought the local Queijo de Nisa (Nisa Cheese) from Alto-Alentejo with her. 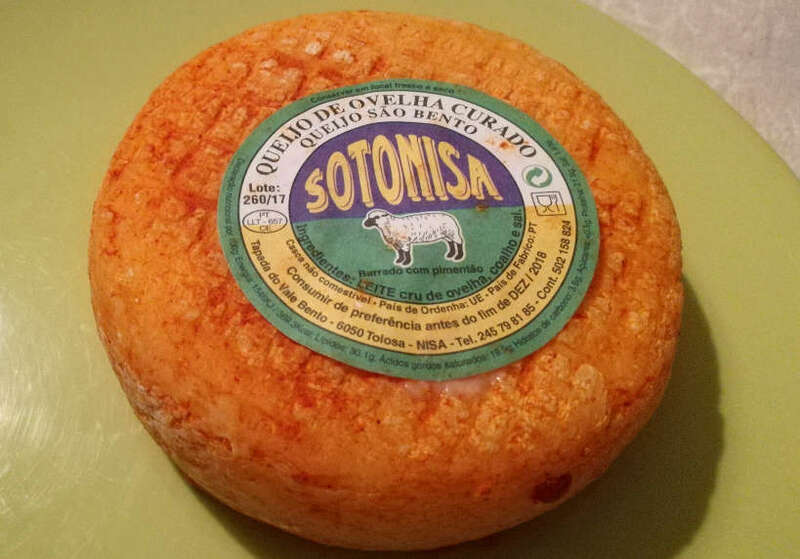 This semi-hard cheese made with raw sheep’s milk has a protected geographical status or Denominação de Origem Protegida (DOP). This cheese was mild with nutty flavors. It is deeply rooted to the Alentejo region and considered a major source of protein in the diet of the region. The magazine “Wine Spectator” considers it one of the 100 best cheeses in the world. 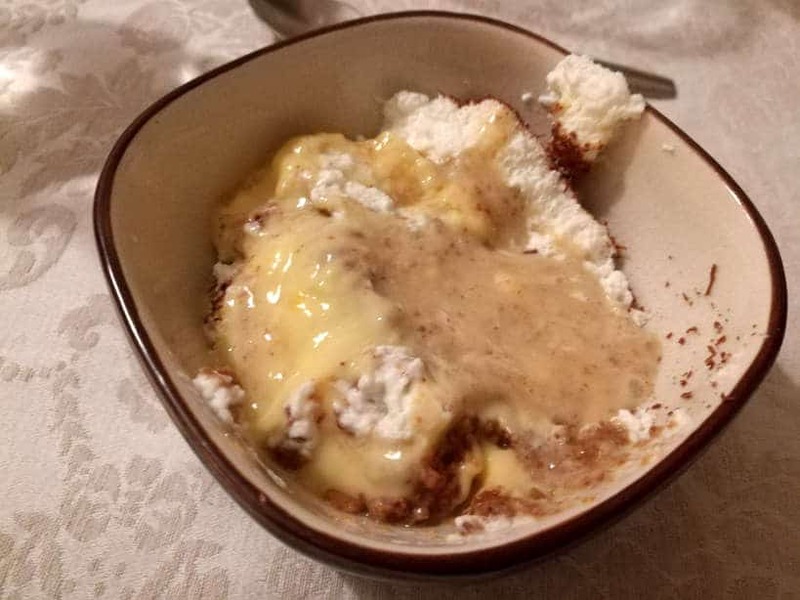 To finish off the meal, unbeknownst to us, Cristina had already prepared a simple and traditional no-bake cake. Even though we had picked up local Portuguese pastries, we were more intrigued by the favorite childhood dessert she prepared. Bolo de Bolacha or “cookie cake” in English, is a cake made with stacks of Portuguese bolacha Maria biscuits and condensed milk. The cake is simple to make. The recipe calls for mixing condensed milk, cream, egg yolks, and Maria cookies soaked in coffee. Cristina adapts the recipe and does not use sugar added and is light on the coffee. The cake, we learned also comes as a mousse, and that’s the version Cristina prefers. The Portuguese sweets followed by coffee was the perfect end to a typical Portuguese meal with a warm and generous Portuguese family. When you have the opportunity to share a meal with a local family, you discover that you are more alike than you are different. 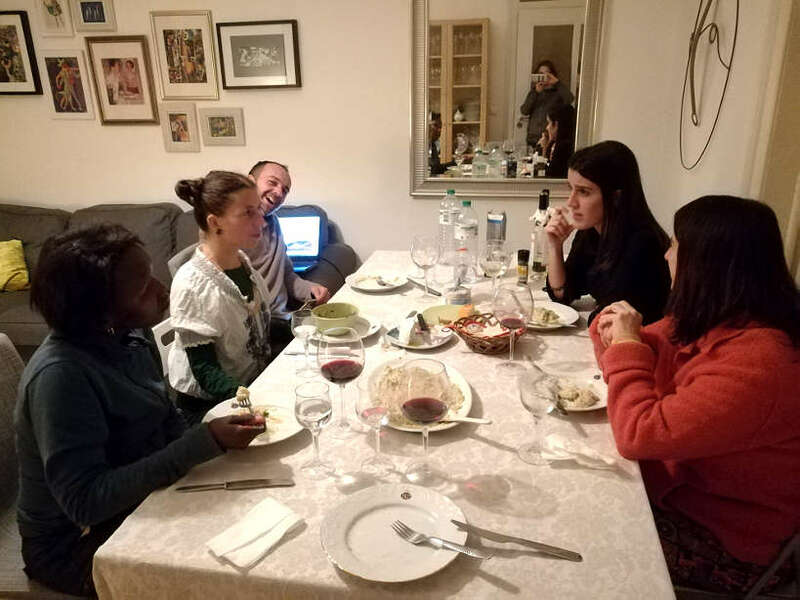 Through sharing stories at Cristina’s dinner table, we found our points of commonalities. We talked about our lives and what mattered. Whether it was traveling to discover the world, or setting up a holistic learning center, fulfillment was at the core. The warm environment Cristina created, fueled by the traditional Portuguese dishes from the Alentejo region, brought us together in a powerful way. At that table, “the center of the universe”, from about 8:00 pm to 11:00 pm, we crossed geographic barriers and shared a special moment. A moment that was only made possible through food. One of the pleasures of staying with locals while traveling is connecting over special moments like this. On our food travels, we like to stay with locals using Airbnb, as a way to better understand the local food culture. If you have never used Airbnb before, you get $40 off your first Airbnb booking by using our link. It doesn’t cost you anything and it helps us to get a small credit for our next Airbnb stay. 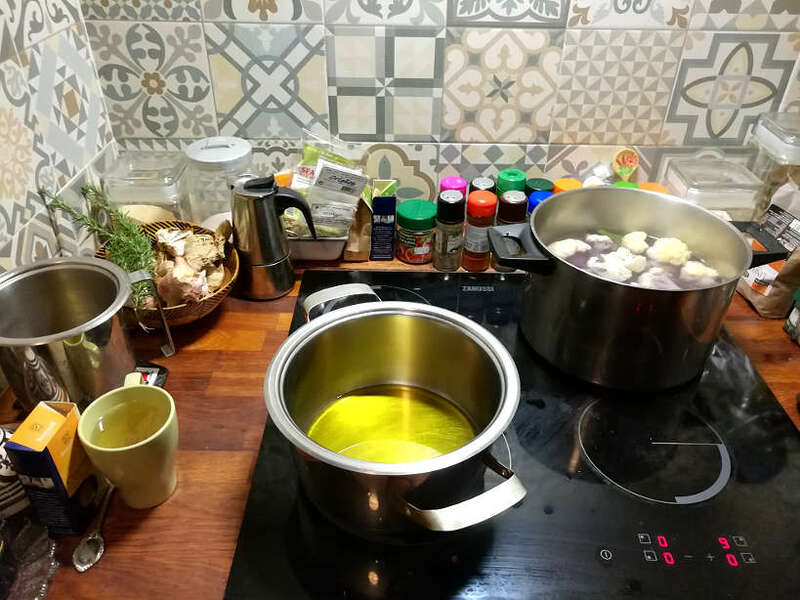 Learn how to make authentic Portuguese dishes at an evening cooking class in Lisbon. Click here to see more fun cooking class experiences in Lisbon. Have you shared memorable meals with locals on your travels? In the comments below, please tell us about your favorite experience. Rosemary is a writer and culinary explorer. 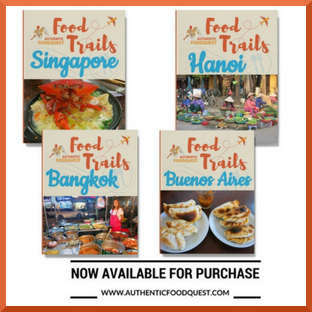 Together with her partner, Claire, they created Authentic Food Quest to inspire people to travel deeper through authentic food. 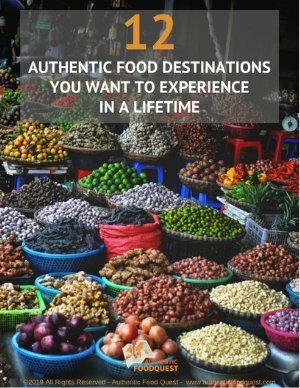 Through food, they believe, people can have more meaningful connections on their travels. Prior to creating Authentic Food Quest, Rosemary worked as a director of strategy in advertising for over 15 years. 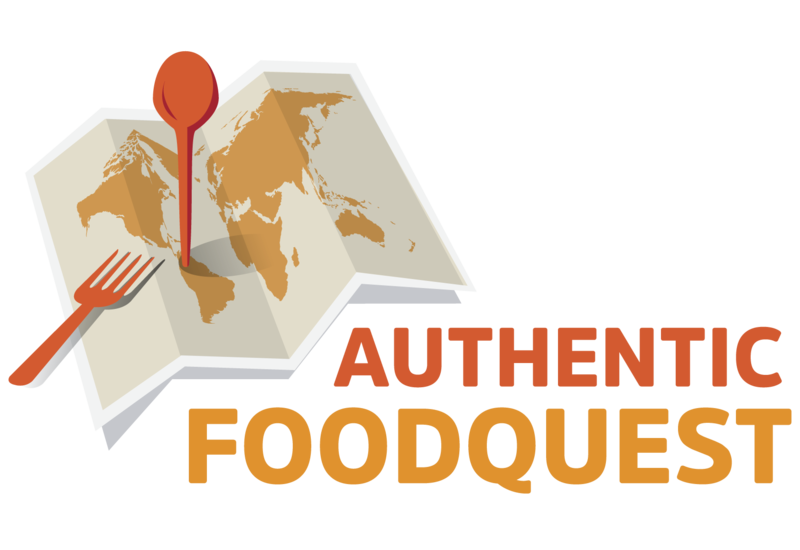 Take the quiz and find out your Food Traveler Profile. You will have a wonderful time in Portugal and Alentejo. Be sure to check out our other articles about the foods not to miss in Evora. Let us know what you end discovering. Safe travels, Lauren. So glad you enjoyed the article, Brianna. Connecting with locals on your travels is truly a unique way to experience the local culture. Cheers. That’s such a beautiful way to travel! Staying with locals and learning about their traditional food. You guys made me hungry. Thanks so much Viola. Glad you enjoyed the article. Have you ever stayed with locals on your travels? Your experience sounds amazing! I’m jealous. This is the best way to experience great food and culture. Thanks so much Jen. Connecting with locals is truly a wonderful way to taste the local culture. Have you ever stayed with locals on your travels? Had never heard of açorda but it sounds and looks delicious. I’ve been peaking at airbnb experiences and this seems like one that is super immersive and worthwhile. Thanks, Jasmine. If you’ve never tried Airbnb, I’d highly recommend it. It is truly an immersive experience and a unique way to travel. Give it a shot!! What’s better than eating traditional food with the local who cooked it for you? That’s what I called a fortunate experience! The acorda looks more like a porridge for me. I really want to try that Bolo de Bolacha though. The acorda is actually bread soup and it is a traditional Portuguese dish. While it might look like porridge, I can guarantee it doesn’t taste like it 🙂 The history is fascinating. You can’t go wrong with the Bolo de Bolacha dessert!! That’s interesting Radka to hear that about Couchsurfing. I really do think it depends on the host and their personality. Check out an earlier article about the food in Portugal for a recipe for pasteis de nata. Cheers. I was in Portugal a few months ago and absolutely loved the food! But how lucky you are to experience this with a local family. It must have been an amazing time! Great post with so much detail! Thank you so much Haley, glad you liked the article. While in Portugal, did you stay with locals? If not, give it a try on your next trip and see what emerges. What was your favorite Portuguese dish? What a beautiful story to read. Your host sounds like a lovely person & the food to die for!! Loved to read about your time in Portugal. I love to meet locals wherever I travel as well. It certainly enriches the experience. You are right, Vicki. Connecting with locals does make for a deeper and richer connection to the destination. Have you had any experiences with locals on your travels? All of this food looks delicious. It seems like learning from locals is the perfect way to experience local cultural foods. I’d love to try açorda some time – yum. I haven’t used Airbnb before but may have to give it a try for a more authentic experience. We love staying with locals as way to connect and also discover the local specialties. Give airbnb a try for an amazing experience. 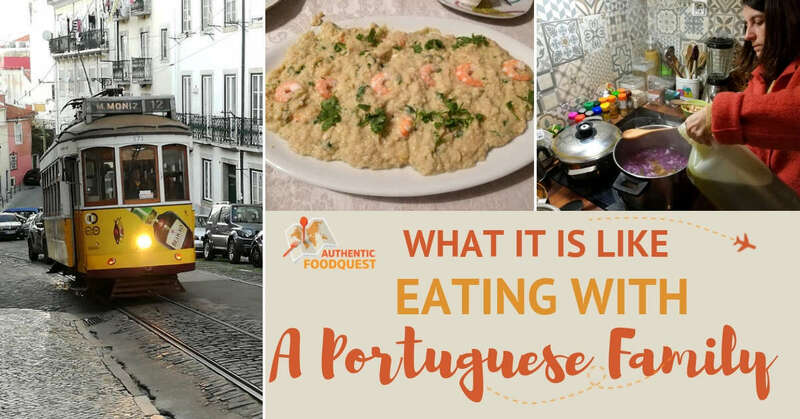 Eating well in Portugal is not hard! I’ve had a spanish bread soup before but this one looks really thick. 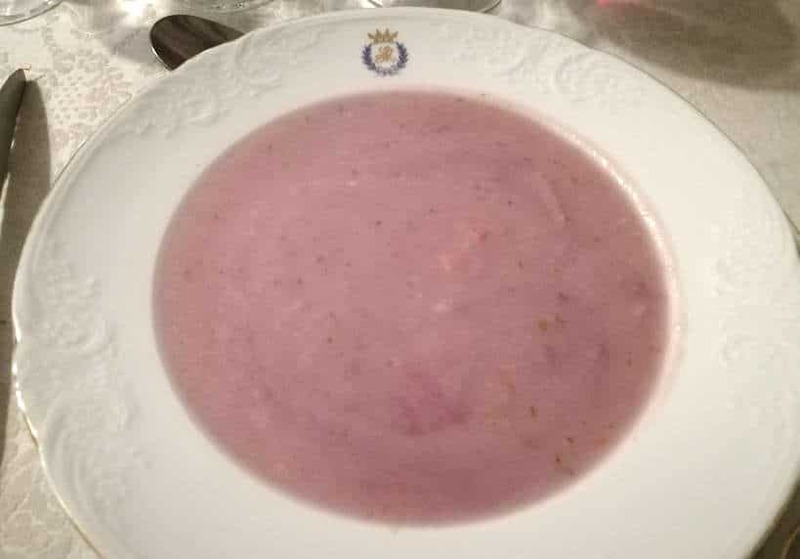 And the purple of the cauliflower soup comes from the cabbage I expect? It all looks yum. That’s interesting that Spain has a bread soup as well. What is it called? The purple actually comes from the purple potatoes uses. All good and delicious though. Thanks for stopping by, Nicole. One of the best parts of traveling is connecting with the people and their culture/traditions. Since so much is centered on the food that people eat, joining a family for a local dinner entree is a perfect scenario. We have really cherished oppotunities we’ve had to do the same, including having “popcorn” soup in Madrid, Spain! That’s wonderful to hear Tami. Totally agree, connecting with the locals makes for a memorable travel experience. Wow, popcorn soup…that must have been very interesting! Thanks for sharing your experience. To many more unique local travel experiences!! That all sounds so yummy. I am going to Portugal next year and can’t wait to try out the food! Perfect!! You’ll definitively eat well in Portugal. Don’t forget to check out all the delicious dishes to try on the “Portugal” tab. Have fun!! What an awesome post! AirBnB is an amazing “hack” for local experiences. Many people just do it cause it’s cheaper than a hotel or closer to something they want to see, but the local interaction is WAY cooler than any hotel. And you get experiences like this one you guys had, without even paying for them. AMAZING! Thanks so much Mike. Indeed, Airbnb does provide ways to connect with locals, that you cannot get if staying at a hotel. It was a great experience and a wonderful way to travel. What’s your preferred style of accommodations? I absolutely love this story! The way you all connected over food is amazing. And you learned so much about the region. I personally would love to learn more about their olive oil. Also, did Moabi say if they allow visitors to their farm? Thank you so much Vicky. So glad you enjoyed the story. There is so much to discover when you connect over food 🙂 Actually, Moabi does allow visitors on their farm. I’ll be sure to update the post and include that information. Really appreciate your feedback!! What a fun trip and food experience! 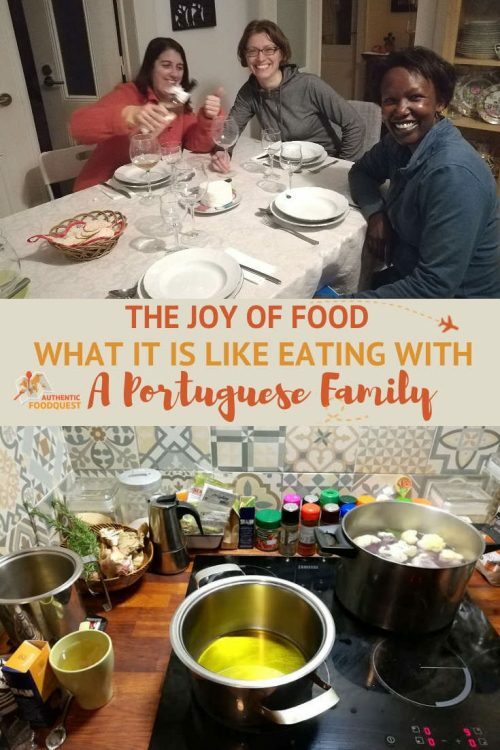 I love all the wonderful images you included of the making and enjoyment of your Portuguese dinner. Fabulous! Thanks so much Denay. So glad you enjoyed the article. There is nothing more enriching than connecting with locals when traveling 🙂 Thanks for stopping by. I love this story of eating with a local family. You learn so much about the culture and the culinary. I’ll have to second the motion that a good olive oil makes all the difference with Medditeranian cooking. Thanks guys!! Connecting with locals does give you a deeper appreciation for the culture. And yes, good olive oil goes a long way!! Cheers. What a great way to spend your trip! You could really learn a lot from spending some time talking with the locals there. 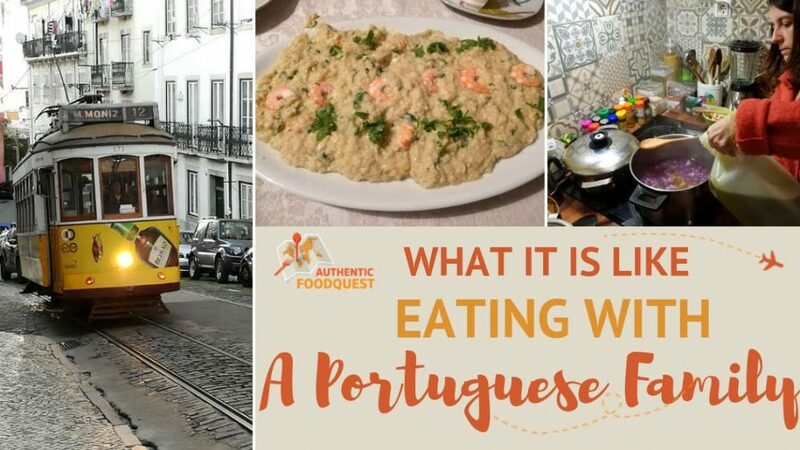 I feel like I’ve learnt so much more about Portuguese culture and food after reading this article! Love your pictures and authentic writeup of this experience. That’s wonderful to hear Leanne, really appreciate your feedback!! Cheers. The beauty of Airbnb is the opportunity to connect with locals in an intimate way…in their own home. What was your experience in Foz Coa? Thanks for stopping by! I love that you were able to connect with locals and have them cook for you! A home-cooked meal is the best no matter where you are. Thank you for sharing! Thank you so much Simone. Truly agree, home cooked meal with locals is a treat anywhere. Have you had similar experiences? Cheers. What an amazing experience! I love the Portuguese culture, their food is delicious. Great find with the AirBnB! Thank you. It truly was a special experience of connecting over local food! Thanks for stopping by. It’s always such a privilege and a treat to be invited to eat home cooking with locals on your travels! This sounds like an amazing experience, both for the food and the company. I especially appreciate that it was all pescatarian and could have been veggie-friendly except the shrimp in the açorda. As a pescatarian traveler it’s such a gamble when you accept an invitation to share a meal with locals. We never take an invitation to eat with one’s family lightly. It is truly a privilege. Knowing the menu ahead of time can make a big difference, allowing you to prepare in advance, while still being present. Thanks, Carrie. Give it a chance to stay with locals Medha. It will change your experience of travel and importantly open you up to new experiences. Let us know when you try this 🙂 Cheers. We love to hear from you, so tell us what you think.